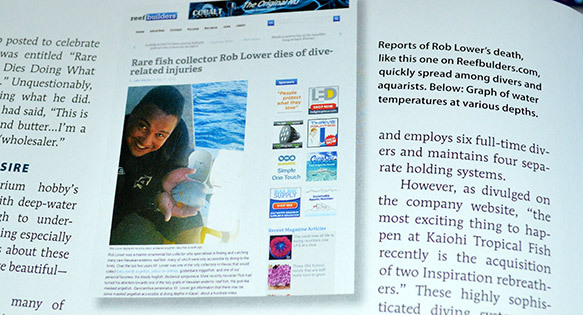 The May/June 2014 issue of CORAL Magazine was a Herculean effort given the abnormally high amount of first-run, original, English-language sourced content to create the never-before seen “Cold Reefs” feature. The increased workload and last minute rush against our printing deadline meant that a couple errors went undetected in the run-up to publication. 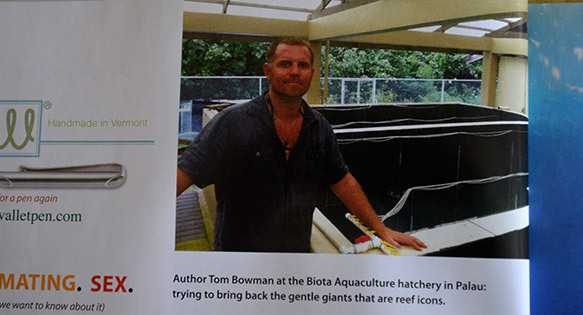 First, our apologies to author Tom Bowling, who we incorrectly named “Tom Bowman” on in the caption on page 20. The correct spelling of Tom’s last name is Bowling, not Bowman. This error has already been fixed in our CORAL Magazine Digital Edition. In addition, another caption slipped through in the rush with a very regrettable spelling error. 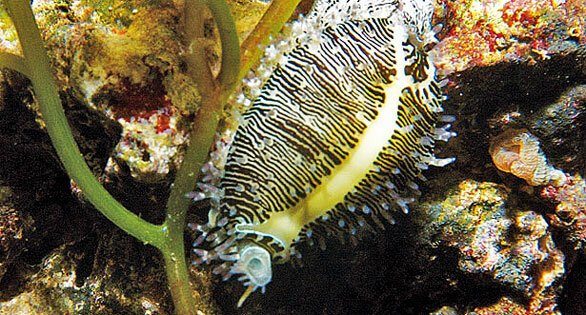 The correct spelling of our cited publication is ReefBuilders, not Reefbulders. Our apologies to Jake Adams and Ryan Gripp for the incorrect spelling of ReefBuilders.com in the above caption on page 84 in Kenneth Wingerter’s article “Deep Focus”. Looking back at our digital proofs, the font was so small it all just blurred together and no one caught it. We’ve submitted this error for correction in our digital edition at this time. If you find any other mistakes or errors in an issue of CORAL Magazine, please bring it to our attention so we can correct our mistakes. Thanks!